Nicola teaches Freestyle, Ballroom and Latin, Rock n roll and Street style to children from 3 years to adults, in both classes and one to one tuition. Nicola is a highly qualified Licentiate teacher of the Imperial Society of Teachers of Dance, the world's leading dance examinations board. Nicola has trained with the late Betty Bouston, Marion Lane and Amanda Hughes all Fellowship teachers and examiners of the ISTD, to obtain the highest quality of teaching to pass on to her pupils. 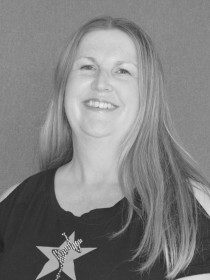 Nicola is a senior teacher at Dance-Beat and has taught for 25 years, she continues to attend training courses and take examinations herself to make sure her pupils have the most up-to-date and highest standard of knowledge and technique possible. Nicola has trained pupils to obtain honours in their ISTD dance examinations and pupils she has trained have gone on to win places and attend top dance colleges. Others have achieved a first place and final places at one of the top competitions, the ISTD National Grand finals. Additionally Nicola has trained many successful, teams over the years who have gone on to win a vast array of medals. She has trained pupils to reach the finals at Blackpool tower ballroom for Ballroom and Latin and many pupils have gone on to continue their ballroom and Latin training at university even attending university competitions. Nicola puts her heart and soul into her teaching and puts much thought into her classes to tailor each class to the specific needs of each pupil. Her experience is vast and she passes this knowledge onto her pupils and other teachers in the school.